Aleene’s Original Glues - Felt Christmas Tree for Kids! Felt Christmas Tree for Kids! 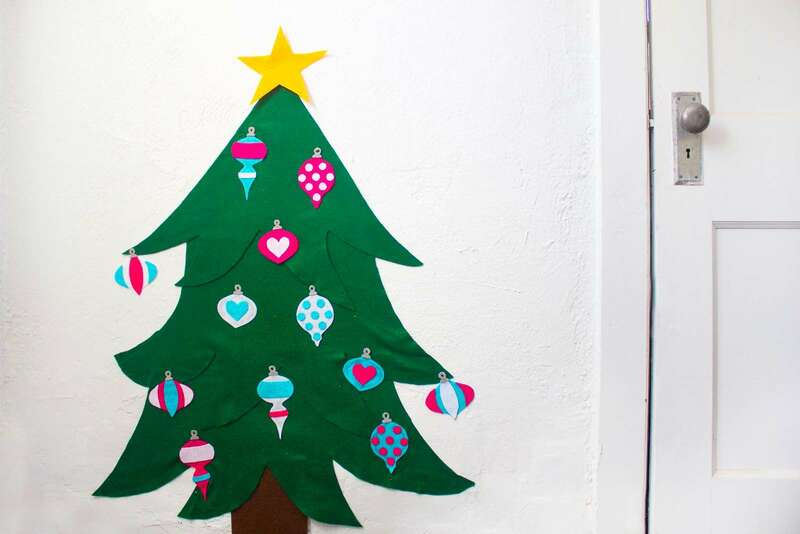 This temporary Felt Christmas Tree is the perfect way to get kids involved in the season! 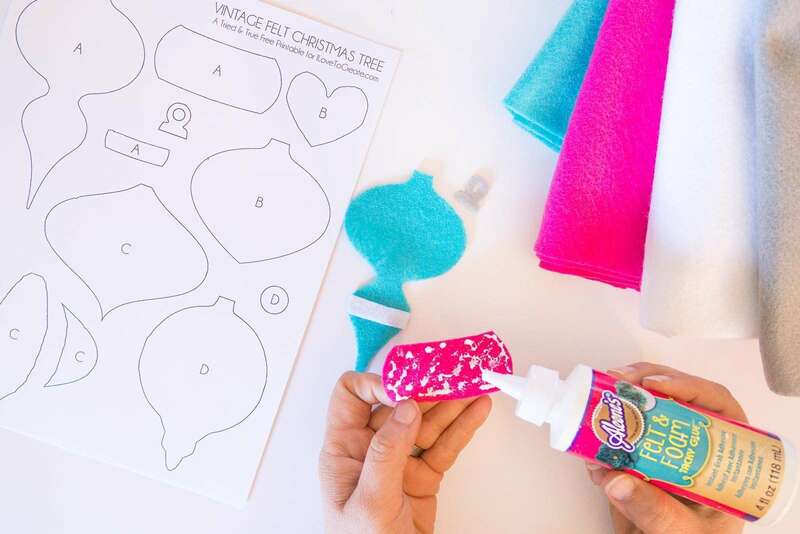 Use the free pattern below to make the vintage-inspired felt ornaments that stick great to the "tree" thanks to Aleene's Tack-It Over & Over. Use free pattern to cut out ornament shapes and adhere together with Aleene's Felt & Foam Tacky Glue. Allow to dry completely. Cut out basic tree shape. I cut my tree in three different layers to create the illusion of depth. Apply Aleene's Tack-It Over & Over to the back of the ornaments. You can either do a thin layer of straight out of the bottle or apply sparingly with a paintbrush. Repeat with the tree panels. 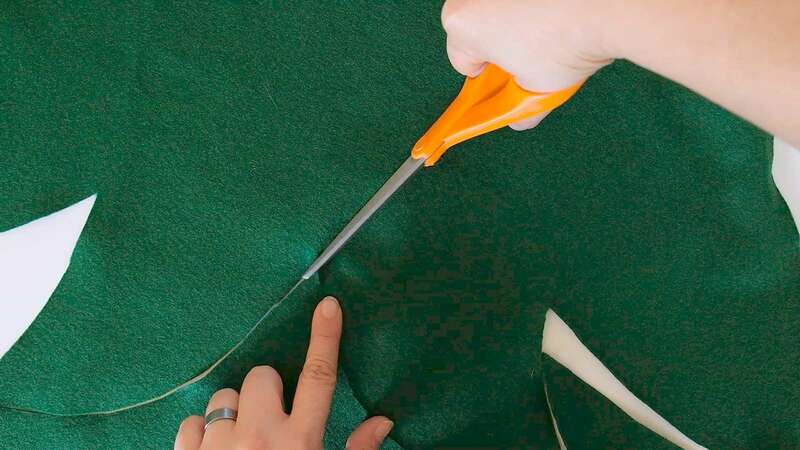 Once the adhesive has dried completely, both the tree and the ornaments can be stuck to the wall and removed without any damage. 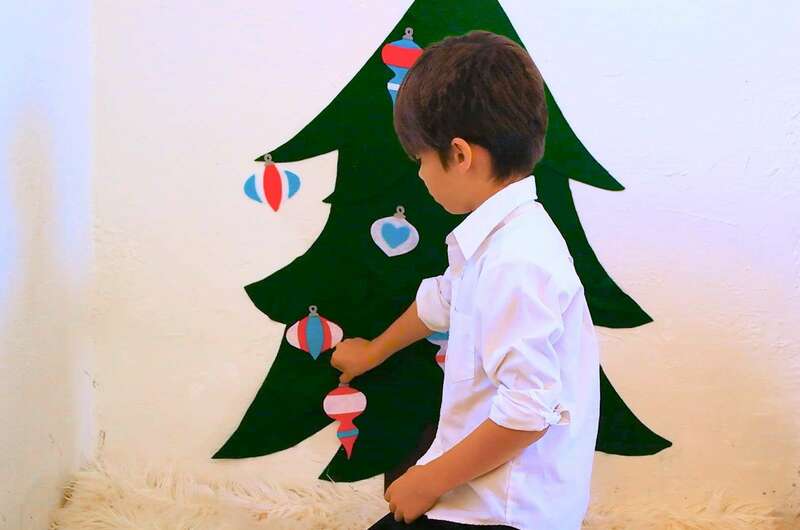 Your kids are going to love decorating their Felt Christmas Tree over and over again!